A busy high street shopping centre may not traditionally seem the most likely place to find an art gallery; however Perth College UHI is keen to push the boundaries of where art can be enjoyed and has recently opened up Air Gallery & Design Studio in St John’s Shopping Centre in Perth. To find out more, Perthshire Creates met Christiana Margiotti, Subject Leader of Creative Arts and Technologies at Perth College UHI. 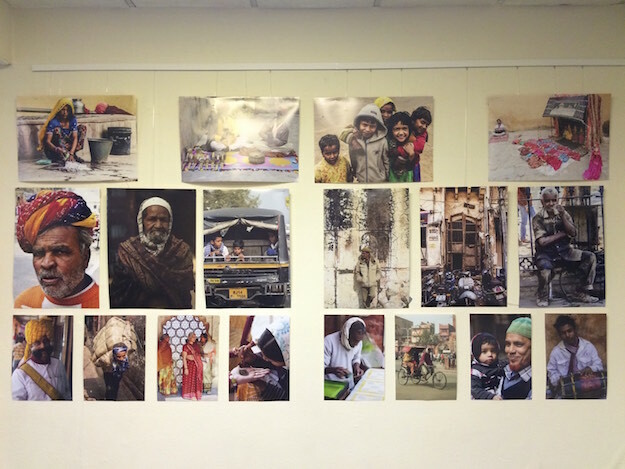 Air Gallery opened in December 2014, aiming to profile student work, connect the city with the student community and raise the important issue of exhibiting art and design work in interesting public spaces. 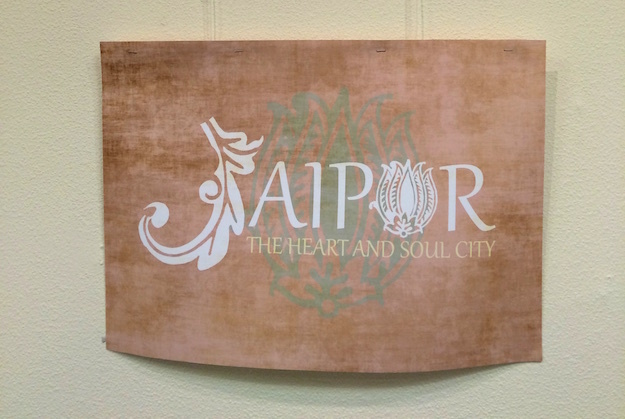 The gallery has a rotating exhibition – which at the time of writing featured a UK-India research project, led by Perth College UHI and the Arch Academy of Design in Jaipur. It has involved the faculties staff and four students from each country developing strategic design skills and an understanding of craft and design policy and branding over an 18 month project. Air Gallery is developing a number of public events and workshops in topics such as graffiti and origami; and has a video wall which will run weekly competitions to develop links with the local community. This approach is already being run with the gallery exhibiting shows by school pupils from Auchterarder and Balnacraig, and also tying into the annual Women’s Festival. The gallery is being co-ordinated and run by a student team who get the chance to learn the critical skills of what’s involved in running a exhibition space and offers the chance to meet and speak to the public about the artworks on display. Ellie Fraser is one of the gallery team and is now in her third year at University. She has enjoyed seeing the public response to the gallery and really values the freedom her course has given her to explore and experiment with different mediums such as graphic design, illustration and film. 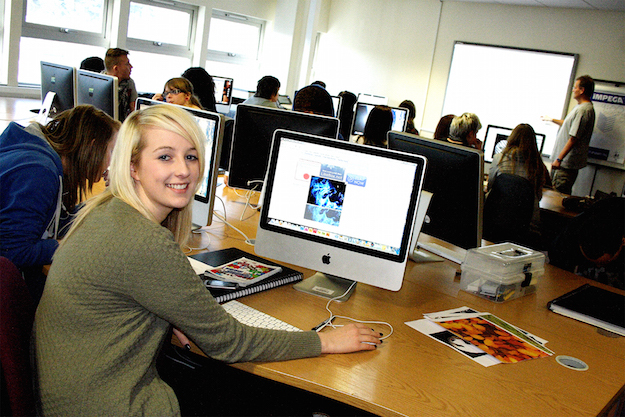 Perth College runs a number of foundation and higher education courses in contemporary art practice, visual design and digital media, supporting around 120 students each year. A key part of each course is the industry experience which aspiring artists and designers receive – students work on projects with real clients which have included developing creative solutions for child care, tackling air pollution and caring for older people. This practical experience enables students to get out and explore the world whilst still being a part of the supportive College environment. All students have to source and go on a 2-3 week industry placement in their third year; and enterprise training and self employment skills are also important. Students have to write business plans, form proposals and give pitch presentations – which they get feedback on from their clients. Students get a broad range of experiences through courses, as Christiana explains, ‘Connecting with industry is critical, so that students work on projects which can improve society and provide tangible solutions in response to client briefs. This enables them to experience a breadth of creative possibilities. It’s about expanding the boundaries within students’ practice, so they’re using their skills in innovative and creative ways’. Visit Air Gallery & Design Studio at St John’s Shopping Centre in Perth from 10am – 4pm Tuesday – Saturday.